I really enjoy a smoothie for breakfast. Not only is it quick and easy but it allows me to cram in as many nutrients as possible into one meal. 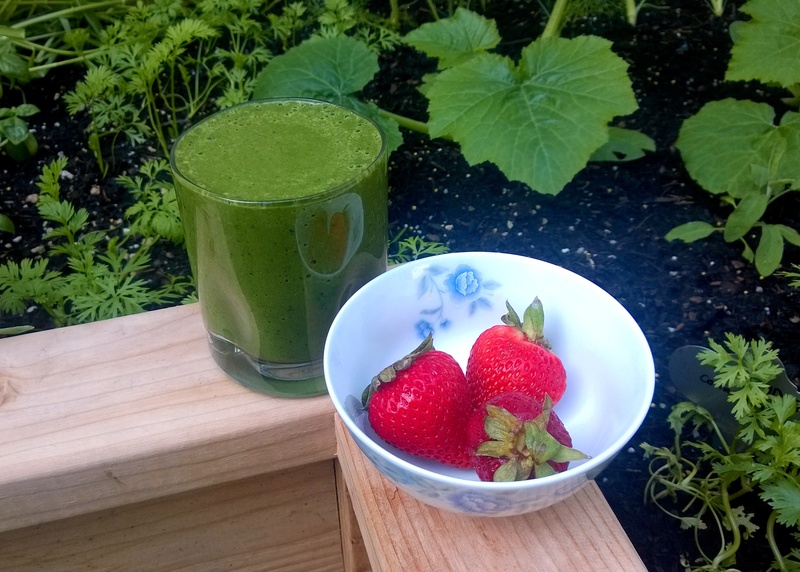 The first time I heard about spinach in a smoothie, I almost gagged. What the hell were those spinach drinkers thinking? I couldn’t imagine anything worse. But then they became so popular that I realised that there was something going on. People were claiming that their kids were drinking them (the vibrant green colour might have helped); maybe they weren’t as bad as all that… so I resigned myself to try one. That was about a year ago and boy, was I wrong. The following recipe is one I’ve settled on as a favourite. The spinach, which I do love in a salad or a Spanikopita, is barely noticeable; the banana and blueberries provide all the sweetness I need, though you can add a little Stevia if you need to; the yoghurt or coconut cream gives it a little more oomph in terms of its ability to fill my stomach and I am easily satisfied from 8 am until noon. This smoothie will vary from 300 to just under 400 calories, depending on whether you use the entire banana, or coconut cream instead of Greek yoghurt (coconut cream is much more calorie dense). It isn’t low in carbohydrates but I don’t mind that in the morning, as there is no added sugar and I need a bit of a carb boost to get going. It is high in vitamins A, B (especially B6 and B9/folate), C and manganese, low in sodium and contains around 5 g of protein. Spinach is a low FODMAP vegetable in servings of 1 cup – if you can tolerate more (and like the taste), go ahead and add it. I normally use 3 cups. Banana is a low FODMAP fruit, use 1/2 a banana if the combo of a whole banana and the blueberries would be too much fruit for you. Blueberries are low FODMAP in servings of 20 berries. Coconut cream/yoghurt is low FODMAP in 1/2 cup servings. Greek yoghurt is a dairy food, so using it would mean that this is no longer vegan or dairy free. However, it is lower in lactose than normal yoghurt if it has been cultured correctly. You could swap it out for a LF dairy yoghurt of your choice, if that’s what you have on hand. Pure Stevia is a low FODMAP, essentially zero calorie sweetener, made from the leaf of the stevia plant. Just ensure that your Stevia is pure and not mixed with any sugars or polyols that might upset your gut. Put the water and yoghurt/coconut cream in the bottom of the blender, then follow with the banana, blueberries and optional Stevia. 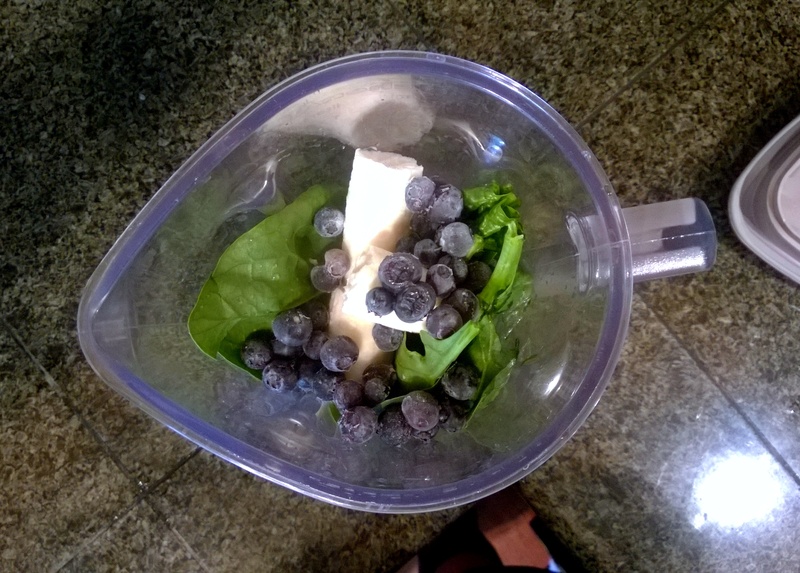 Blend until combined, then add in the spinach and pack it down. 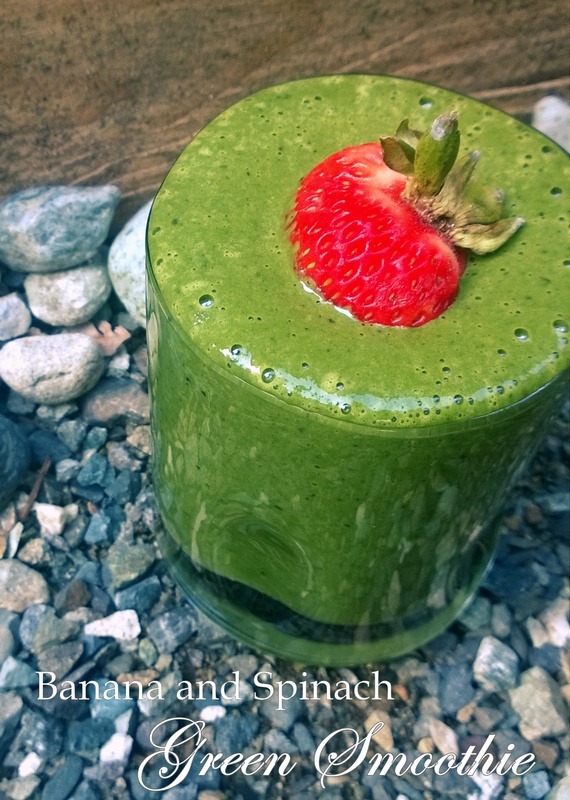 Blend once more on the highest speed for at least 60 seconds, until the spinach has been completely pureed and the drink is smooth. Add in more water and blend for a further 20 seconds, if you like a thinner smoothie. This entry was posted in Breakfast and tagged banana, blueberries, breakfast, clean food, coconut cream, FODMAP, FODMAPS, food, fructose friendly, fructose malabsorption, fruit, gluten free, Greek yoghurt, green smoothie, healthy, homemade, smoothie, spinach, Stevia, sweet, vegan, vegetarian, water. Bookmark the permalink. Yummy recipes, would be delighted if you could share your recipes with us at http://ipinrecipes.com/ a community for food bloggers and food lovers. With iPinRecipes.com you can directly pin recipes from your blog like Pinterest. No need to edit, crop images and your recipes will be published immediately without any editorial review. So why to wait, join our community and start pinning recipes.